Researchers at MIT have utilized an everyday material - wax- to protect graphene from performance-impairing wrinkles and contaminants. 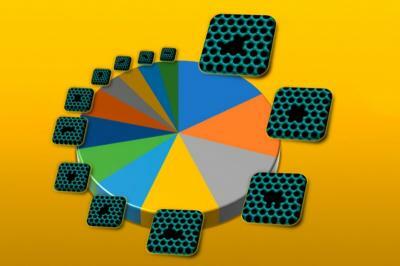 Removing graphene from the substrate it’s grown on and transferring it to a new substrate is known t be challenging. Traditional methods encase the graphene in a polymer that protects against breakage but also introduces defects and particles onto graphene’s surface. These interrupt electrical flow and stifle performance. The MIT team describes a fabrication technique that applies a wax coating to a graphene sheet and heats it up. Heat causes the wax to expand, which smooths out the graphene to reduce wrinkles. Moreover, the coating can be washed away without leaving behind much residue. Researchers at MIT have produced a catalog of the exact sizes and shapes of defects and holes that would most likely be observed (as opposed to the many more that are theoretically possible) when a given number of atoms is removed from the atomic lattice. The MIT team collaborated on this project with researchers at Lockheed Martin Space and Oxford University. “It’s been a longstanding problem in the graphene field, what we call the isomer cataloging problem for nanopores,” Michael Strano from MIT says. "For those who want to use graphene or similar two-dimensional, sheet-like materials for applications including chemical separation or filtration", he says, “we just need to understand the kinds of atomic defects that can occur,” compared to the vastly larger number that are never seen". Finely tuned electrochemical sensors (also referred to as electrodes) that are as small as biological cells have tremendous potential for medical diagnostics and environmental monitoring systems. However, efforts to develop them have encountered obstacles, like the lack of quantitative principles to guide the precise engineering of the electrode sensitivity to biochemical molecules. Researchers at Royal Melbourne Institute of Technology (RMIT) have found that graphene could better fulfill its potential when purified to remove silicon, doubling its electrical performance. Despite researchers demonstrating countless possible applications of graphene, many people feel that graphene is thus far showing rather sluggish industrial adoption. Now, researchers based at RMIT have proposed a possible reason for this and suggested how graphene's full potential could be unlocked. Researchers at MIT have found a way to directly “pinprick” microscopic holes into graphene as the material is grown in the lab. 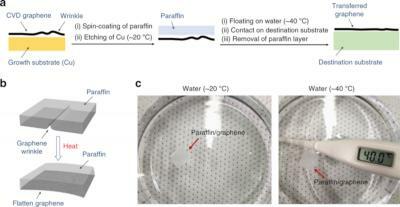 Using this technique, they have fabricated relatively large sheets of graphene (roughly the size of a postage stamp), with pores that could make filtering certain molecules out of solutions vastly more efficient. Holes would typically be considered unwanted defects, but the MIT team has found that certain defects in graphene can be an advantage in fields such as dialysis. Typically, much thicker polymer membranes are used in laboratories to filter out specific molecules from solution, such as proteins, amino acids, chemicals, and salts. If it could be tailored with selectively-sized pores that let through certain molecules but not others, graphene could substantially improve separation membrane technology.